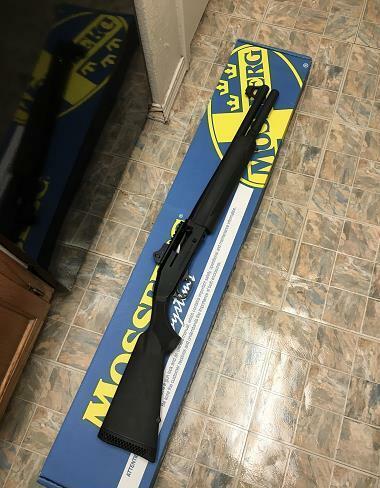 One Mint Mossberg 930 12 gauge tactical semi-auto shotgun with a 18.5 barrel with 7+1 capacity, chamber is 2 3/4 and 3 inch, Ambidextrous thumb safety, M16 Style front and LPA ghost ring rear sights, Synthetic stock, Matte black finish, Weight: 7.75 lbs, Cylinder bore. 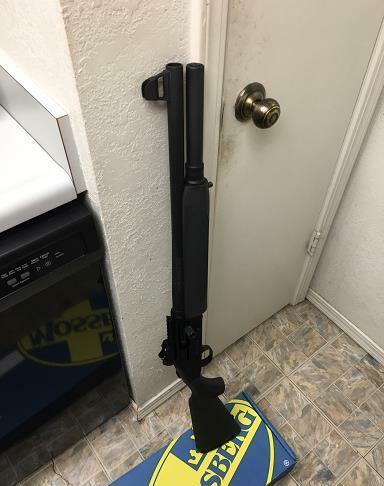 This shotgun is made in the good old USA and will make mincemeat out of any wanna-be home invaders.This beauty handles low brass target loads to non toxic 3″ magnum rounds with ease and is a beast of pure American muscle. It has only has about 50 rounds fired through it. Get this hard to find tactical force-to-be-reckoned-with while you can. 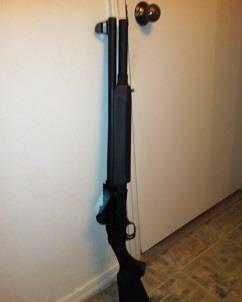 Shotgun comes with all original paperwork, original box in nearly-new condition, and shotgun lock. contact me at cdancina2gmail.com to own this beauty.